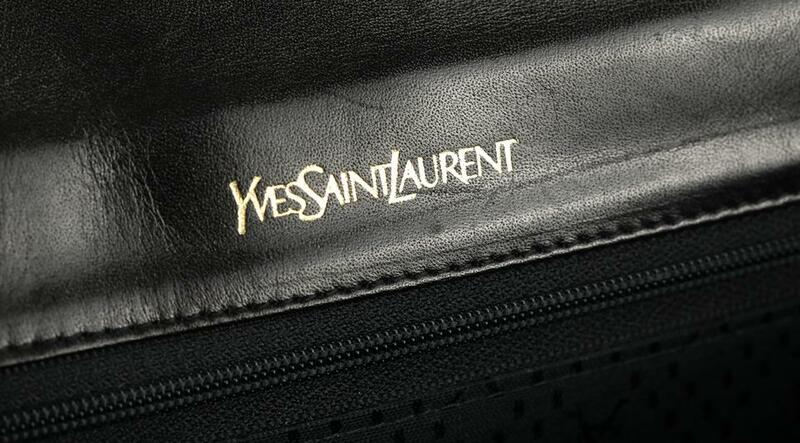 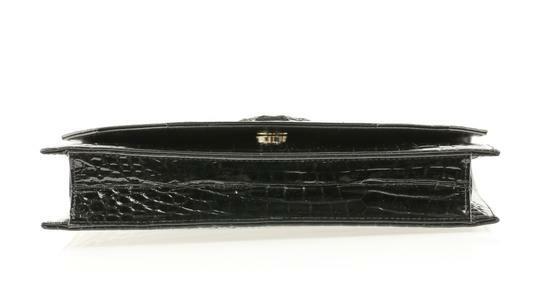 This Saint Laurent clutch is in good, pre-owned condition. 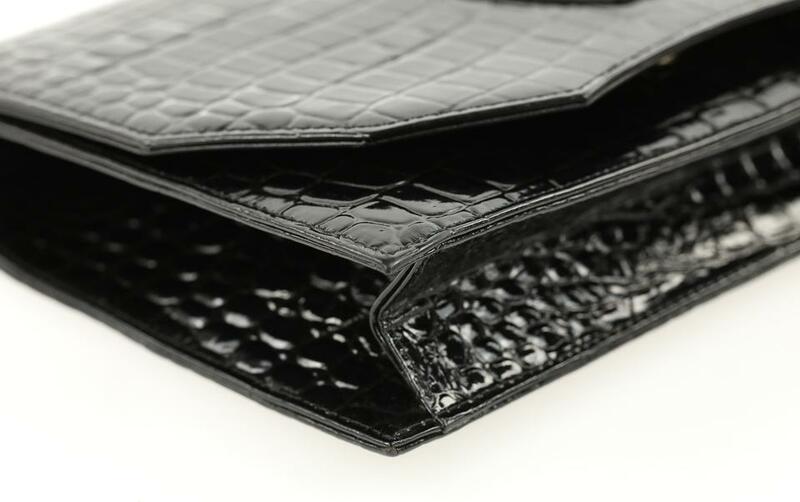 The patent leather is next to new with minimal loss of textured around the edges. 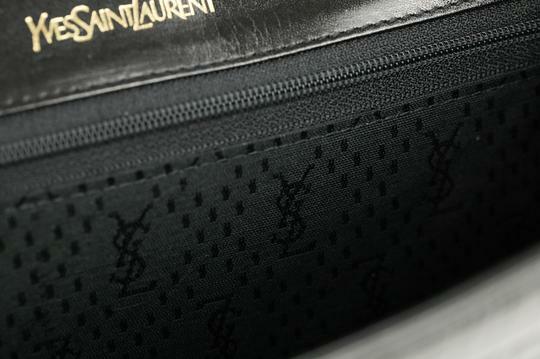 The leather accent has a few negligible scuffs as well. 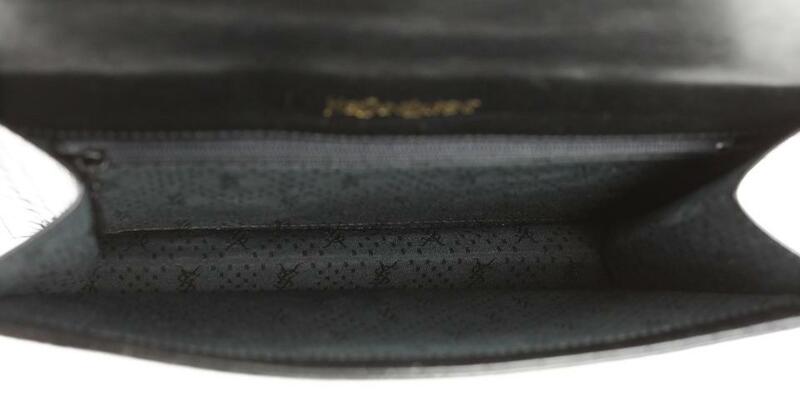 Also, the inside of the front flap shows a few light surface scratches and marks (difficult to capture in photos); nothing major. 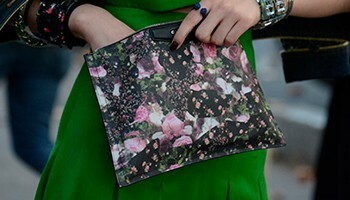 The inside of the bag has a light musty odor, however, the textile lining is free of imperfections. 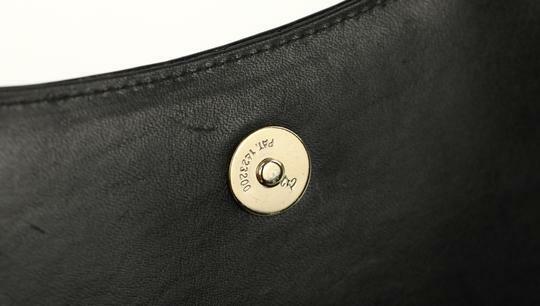 Also, there is slight tarnishing on the magnetic snap but it functions properly. 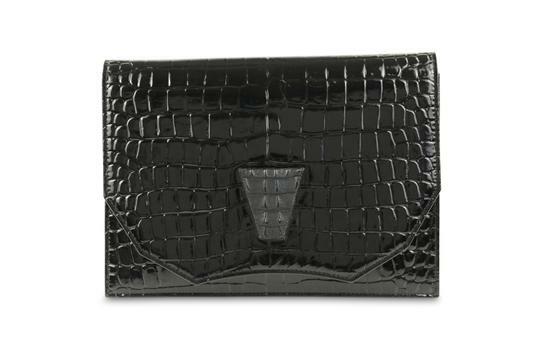 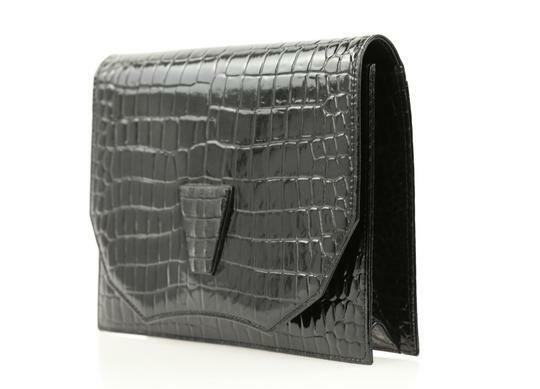 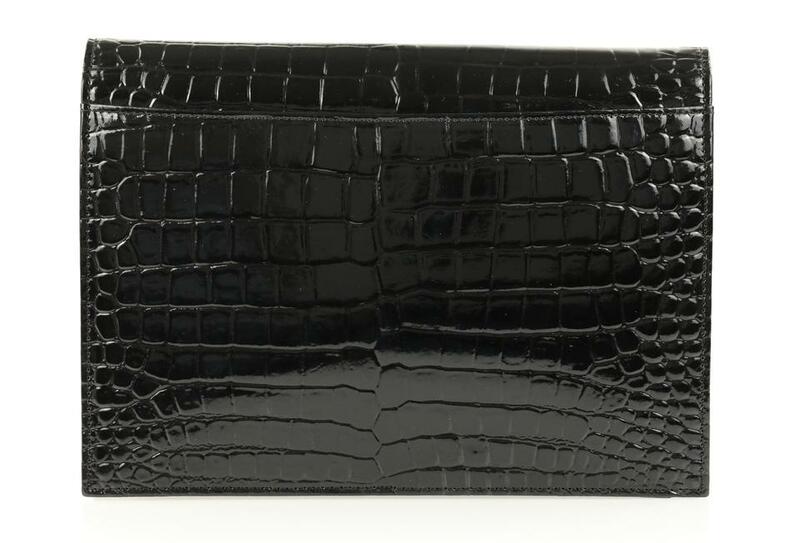 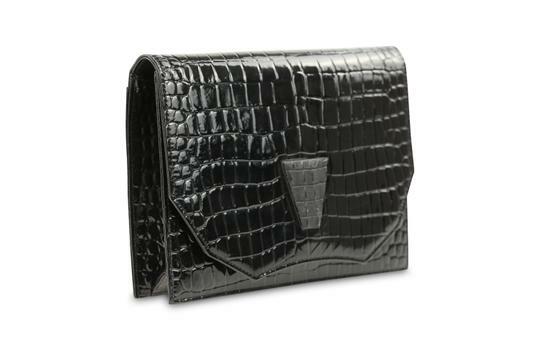 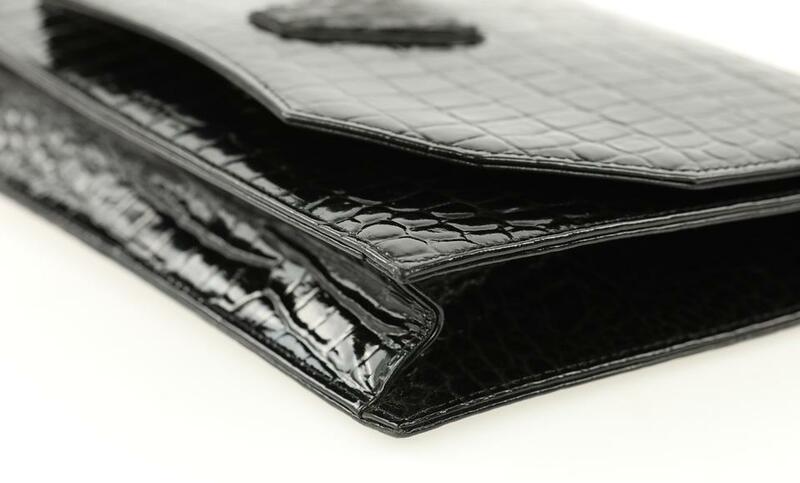 This softly structured Yves Saint Laurent Flap Clutch is crafted from luminous black crocodile-embossed patent leather and features a raised dark grey leather block V detail accenting the front center. The front flap with scalloped edging has a gold magnetic snap closure that opens to a grey branded textile lining.